I haven’t done a latest loves post in a while, so I thought it might be nice to pop one up! I’ve had this book for a while, but I’ve really been enjoying looking through it again – I grow a lot of flowers in the garden over the summer, so I’ve been trying to find inspiration to join in with Styling the Seasons again (I haven’t done it since November, I don’t think, and I really miss it!) 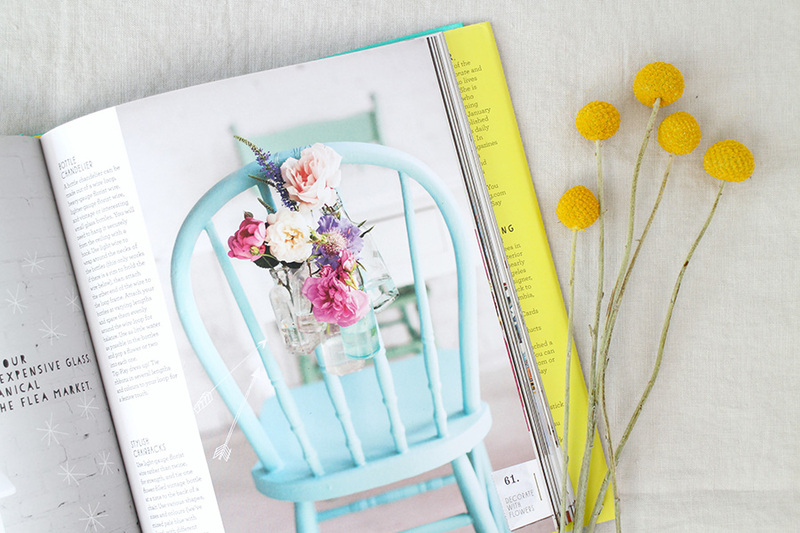 The photography in this book is so beautiful and bright, and I love that it’s divided into different styles – definitely one for anyone who loves flowers or interiors. I’ve been searching for a rug to go in our lounge since we moved in three years ago, and I’ve never been able to find anything that looks right. It’s quite a small space with not a lot of light, and we’re stuck with the WORST brown carpet (we rent, ugh), so it was hard to find something that fitted in. 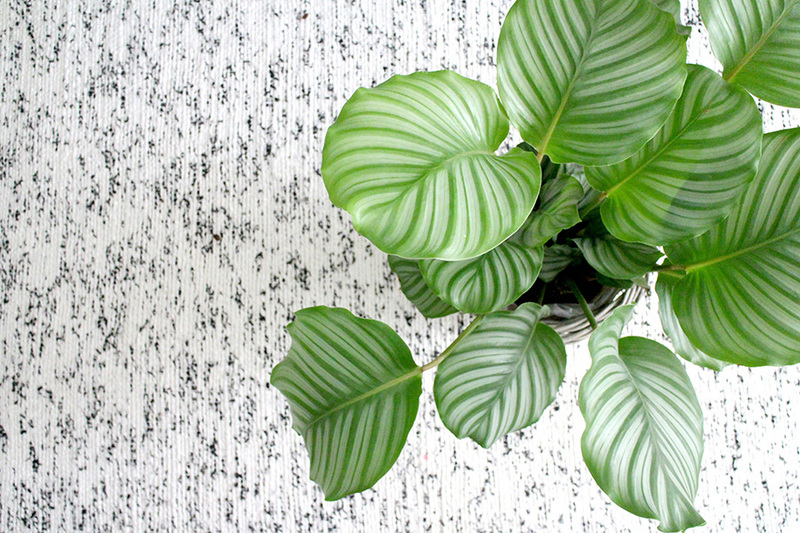 In the end, I found this one from IKEA – it’s really pale, flatwoven and with dark flecks for a bit of interest. And it was only £45! Last Saturday, the kiddos spent the day with their grandparents, while me and Ali pottered off to Brighton. Whenever I go anywhere without them, I always feel like I should bring them a souvenir, which is basically an excuse to buy them nice books! 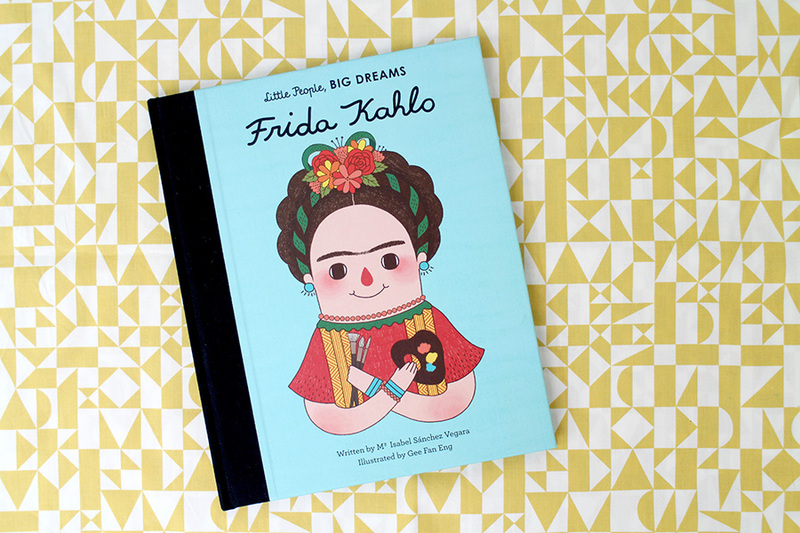 I found this picture book about the life of Frida Kahlo in the Brighton Museum gift shop, and Daisy loved it – she’s a big fan of colour and pattern (usually all at once!). Ben got a Minecraft book, which I didn’t think really deserved a photo. Ha! When I got rid of most of my clothes during The Great De-Clutter of 2015, I made a list of things I wanted to buy; a decent blazer was one thing, a good shirt was another – which I found in H&M last weekend for £14.99. 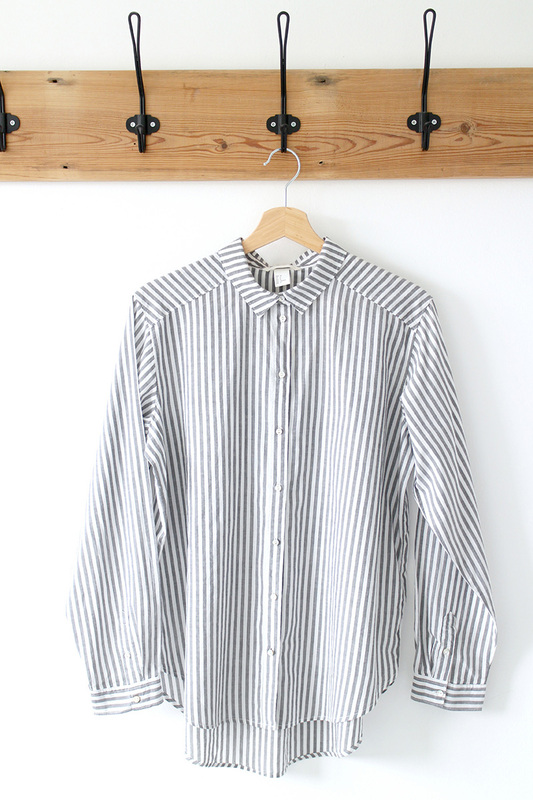 I love the soft grey stripes, and how light and airy the fabric is – I sized up because I wanted more of a boyfriend fit, and it looks ace with the sleeves rolled up to the forearms. 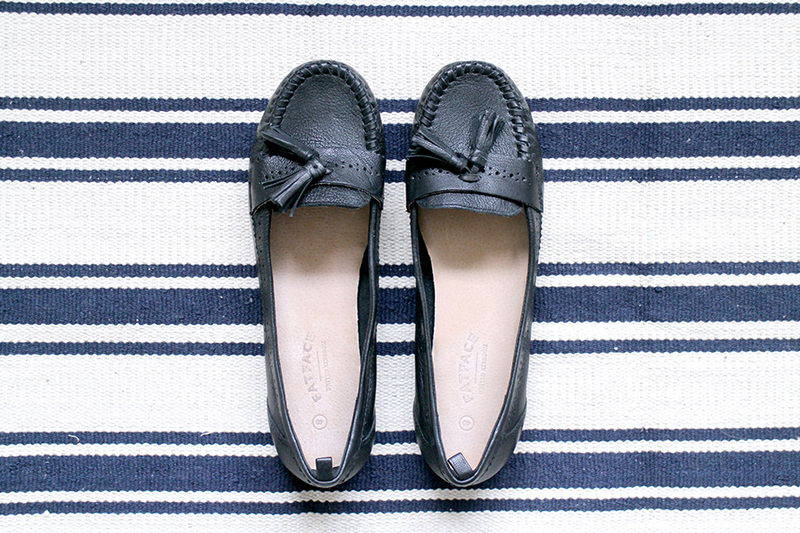 I’ve been after a pair of tasseled loafers for absolutely ages, but never found any I really liked – then I started working with Fat Face, who kindly sent me these as part of their ‘Washed in Happiness’ campaign. They’re super soft and so comfortable – they’ll be appearing in a separate post very soon! I loved this post by Alexandra at The Frugality on breaking bad habits – I’m hoping this will inspire me to give up my own bedtime iPhone addiction! Following on from bad habits, Siobhan from Bless the Weather has recently embarked on a month of self-care, and I’m thinking of joining in – it’s basically the idea that you remember to nourish your mind and body, no matter how busy you are. If you fancy joining in, use the #mymonthofselfcare on Instagram or your blog. I’m completely in love with the espadrilles at And Other Stories – especially the black platform version! I don’t usually go in much for trends, but I’m loving all the wide-leg cropped trousers and culottes around at the moment – I’m so lazy when it comes to choosing clothes in the hot weather, so these plus a breton t-shirt or peasant top are going to make up most of my summer outfits, I reckon. I’ve got my eye on these ones in navy from Marks and Spencer, but ASOS have loads of good ones as well. Finally, I’ve really been loving the latest series of Gardeners World – Monty’s new dog Nell is so funny, and spends most of her time weeing where she shouldn’t, or chewing up packets of seeds! Check it out on the iPlayer if you’ve missed any – I’ve bought some great plants this year that I’d not heard of before! Love that shirt! Off to check it out now..